Paul Walker keeps making basically one-man independent movies. At least this one looks better than Vehicle 19 (2013). The film is about a man (Walker) who desperately tries to keep his premature newborn baby daughter alive during Hurricane Katrina. The movie was written and directed by Eric Heisserer and the rest of the noteworthy cast includes Genesis Rodriguez, and Nick Gomez. The film is set to release on 12/13/13. 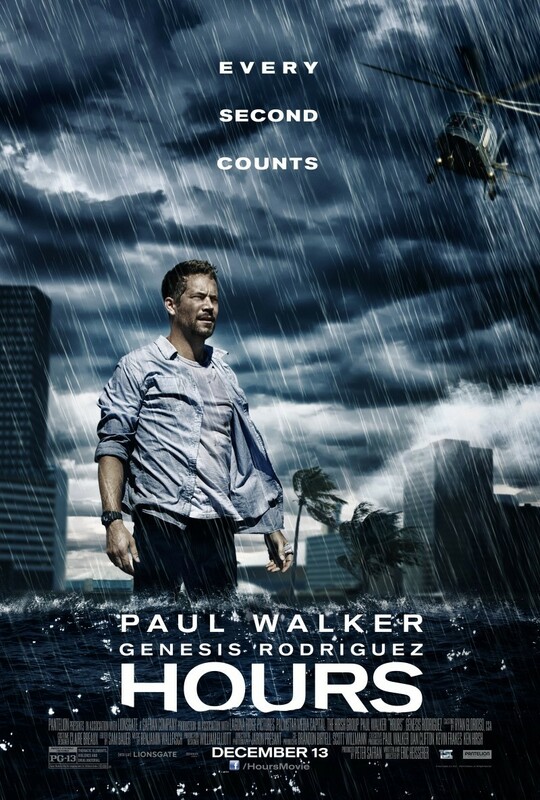 Posted on November 11, 2013, in Previews of Upcoming Movies and tagged Eric Heisserer, Genesis Rodriguez, Hours (2013), Hurricane Katrina, movie, Nick Gomez, Paul Walker, Trailer for Hours (2013). Bookmark the permalink. Leave a comment.